The prophet John the Baptist, portrayed in the New Testament as the returning Elijah. A prophet (from the Greek word προφήτης, meaning one who "utters forth") is a person who is believed to speak for God (or the gods), with the purpose of delivering a divinely inspired message. A prophet often operates through means of recitation, divination or channeling, and the process of receiving a message from the divine is known either as prophecy or as revelation. In popular usage, a prophet is someone who is believed to foretell the future. Prophets play an important role in many religions. Historically, the Mari tablets, discovered on the banks of the Euphrates in northern Mesopotamia, preserved prophecies dating back to at least the eighteenth century B.C.E., including a message from the goddess Ishtar, who is mentioned several times in the Hebrew scriptures. In Greek religion, the interpreters of Zeus, Apollo, and other gods were often female oracles through which the gods or goddesses typically spoke. The Bible refers to numerous prophets of Yahweh, as well as prophets of Baal, Asherah, and various other regional deities. Most prophets in the Tanakh were deliverers of social or religious messages and warnings concerning the consequences of breaking God's covenant. In Christianity, John the Baptist is considered to be a prophet. Muslims accept many of the Hebrew prophets, recognize Jesus as a prophet, and believe that Muhammad was the last and greatest of the prophets. Newer religions, such as the Church of Jesus Christ of Latter-day Saints, the Baha'is, and others view their leaders as prophets as well. Because of the influence of the Bible, the Hebrew concept of prophecy is of great significance. The Biblical prophets provided the world with a sense of history as the progressive unfolding of God's will, rather than a never-ending cycle based on the rhythms of nature. They stressed the idea that there is only one true God worthy of worship. Furthermore, they introduced an unprecedented self-critical awareness in both the political and religious spheres. They stood up to kings and priests alike to proclaim that without morality and social justice, religion itself is meaningless. They also carried God's warnings to humanity, and brought predictions of curses and exiles unless humanity heeded God's call. Finally, they provided an enduring hope of a better world to come, a messianic age of peace and good will both in this life and the next. 1.1 Who is a prophet? In Hebrew, the word traditionally translated as prophet is נְבִיא (nabi). According to 1 Samuel 9:9, the old term for nabi is ro'eh, ראה, which literally means "seer." In Deuteronomy 18:18, God declares: "I will put my words in his mouth and he will speak to them all that I command him." Thus, the nabi was thought to be the mouthpiece of God. Nevertheless, prophets are fallible and capable of sin. The prophet Aaron sinned by making the golden calf while Moses was receiving the Ten Commandments. Jonah ran from his calling and then complained because God ultimately did not fulfill his prophecy. Both men and women could act as prophets. Biblical prophetesses include Sarah, Miriam, Deborah, Abigail, the unnamed prophetess of Isaiah 8:3, Huldah, and Esther. Male prophets could be patriarchs, kings, priests, herdsmen, and members of wandering ecstatic bands, military leaders, judges, and court officials. Even gentiles could occasionally act as prophets (Numbers 22). While the Bible speaks of several prophets in the patriarchal age, Abraham is the first. He is considered by Jews, Christians and Muslims to be their common spiritual forefather or Patriarch. Abraham answered God's call to relocate his family to Canaan, built the first enduring altars to the Hebrew God at Shechem and Bethel, and received God's promise to bless his descendants (Gen. 12). Later, he was even was willing to sacrifice his son through whom this promise would be fulfilled in obedience to God's command. Honored by Jews, Christians, and Muslims alike, Abraham was the first prophet to enter into a covenant with God, an agreement that was to be respected by all future generations of Abraham's offspring. Abraham is particularly important in the Islamic tradition. In the Jewish tradition, both his son Isaac and his grandson, Jacob, are considered prophets, while his wife, Sarah, is considered the first prophetess. 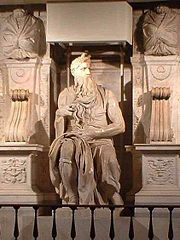 The archetype of the prophet, however, was Moses. According to the Bible, he knew God very personally, so much so that he spoke to God face to face (Exodus 33:11). Moses could even argue successfully with God about policy (Numbers 12:12-20). In God's name, he stood before the king of Egypt and demanded liberation for the people of Israel (Exodus 10:3). Prophecy ran in his family, as both of his siblings, Aaron and Miriam, were also prophets. Judaism teaches that Moses was the first man to whom God revealed his true name, YHWH, or Yahweh (Exodus 6:3). They also believe that it was through Moses that God revealed the Ten Commandments, which became the foundation for what is called the Mosaic Law. These Commandments (among others) are central not only to the morality and religion of Jewish law (Torah), but also to literally billions of Christians, Muslims, and conscientious non-believers. Moses also embodied the archetype of the liberator, inspiring social movements for such diverse causes as nationalism, abolitionism, civil rights, and even Marxism. Although a prophet does not need to do miracles, Jews and Christians believe that God performed many miracles through Moses, such as parting the Red Sea and instigating ten horrific plagues against Egypt. In the history of Israel, prophetic activity is also seen during the period of Judges (ended c. 1030 B.C.E.) in figures such as Deborah, a remarkable woman who in addition to being a prophetess was also a judge, military commander, psalmist, wife, and mother. The last great judge, Samuel, likewise combined the function of prophet, priest, warrior, and political leader. Samuel united the Israelite tribes and prepared them for nationhood. Though personally opposed to the principle of kingship, it was Samuel himself who under God's inspiration, it is believed, recognized and anointed both Saul and David as king of Israel. In this period also emerged the phenomenon of prophetic schools or guilds. Samuel himself was a leading figure among the bands of roaming prophets (1 Sam. 19:20). These "seers" and "sons of the prophets" (ben nabim) prophesied in a trance-like state induced as they played various musical instruments and engaged in ecstatic dancing. They also attended the sacred altars of the "high places" such as Beth-El, Jericho, and Shiloh. 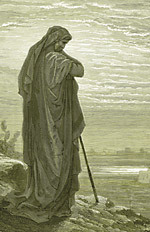 King Saul is described as participating in their prophetic rites (1 Sam 10). King David appeared to act likewise when he stripped and danced "with all his might before the Lord" (2 Sam 6:14). Other individually named prophets during this period of early Israelite prophecy include Gad, a seer to David prior to his becoming king; Nathan, who dramatically condemned David's adultery with Bathsheba (12 Sam. 12); and Ahijah, the wandering prophet who predicted that Israel would be divided because of Solomon's idolatry (1 Kings 11). The phenomenon of prophetic bands continued through at least the time of the prophet Elisha at the end of the Omrian dynasty (c. 842 B.C.E.). Not every prophetic group was devoted to the same deity—prophets of both Baal and Asherah being specifically mentioned. Some may have served several local deities as part of their duties attending regional shrines. These, along with Israelite prophets who spoke untruth in the name of Yahweh, came to be known as false prophets. 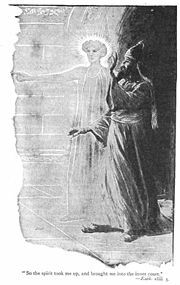 For example, the woman at Endor represents a type of false prophet, in that although she prophesied truly to Saul concerning his fate, she did so by means of a "familiar spirit" rather than by consulting God directly (1 Sam. 28). Starting with the powerful man of God, Elijah, the Bible tells of prophets who did battle on behalf of Yahweh against the prophets and priests of other gods. These prophets spoke boldly to the kings of Israel and Judah to urge them to worship Yahweh alone. Elijah and his protégé, Elisha, operated during the northern dynasty of Omri, urging Israel to turn away from foreign gods. These two prophets are portrayed as powerful miracle-workers, and they were not above bloodying their own hands as well. 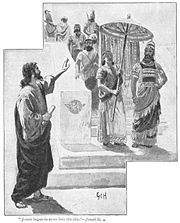 When the Baal-worshiping northern queen of Israel, Jezebel, put to death hundreds of the prophets of Yahweh, Elijah responded in kind by slaying 450 prophets devoted to Baal (1 Kings 18). Elisha continued the powerful ministry of his master, facilitating numerous impressive miracles and predicting dire consequences for the Northern Kingdom if it did not repent of its sin of idolatry. To chastise the North, he commissioned Israel's future nemesis Hazael to seize the kingship of Syria (2 Kings 8:12-13) and encouraged the violent Judean zealot Jehu to usurp the kingdom of the wicked King Ahab (2 Kings 9:1). During this period, the "court prophets," seers who advised the kings, were also in evidence. The best of these, such as Nathan and Isaiah, gave good advice to the monarchs they served. Others occasionally found themselves in verbal battle against other prophets of God. 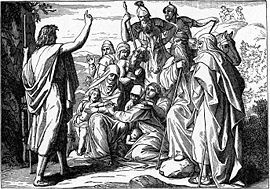 A classic example is seen in the confrontation between the independent prophet Micaiah son of Imlah and the court prophet Zedekiah son of Kenaanah during a political conference between King Ahab of Israel and King Jehoshaphat of Judah (1 Kings 22). Up until this point, the activities of the prophets were preserved in the form of colorful stories with a few sparse quotations from the prophets themselves. Starting with Amos and Hosea, longer sayings of some of the prophets were preserved by scribes, and some prophets contributed to major literary works. Amos' sayings are characteristic of the prophetic emphasis on justice as opposed to formalized religion. His verses are among the most quoted in the Bible. They found particular resonance in the American civil rights movement and were put to good use to preachers such as the Reverend Martin Luther King, Jr. The last of the northern prophets was Hosea. His ministry is dated to about 735 B.C.E. A man of deep pathos; he reported that God commanded him to marry an adulterous woman to symbolize God's own feelings of having been betrayed by Israel's love affair with foreign gods. Like Amos, he disparaged formal religion without sincere devotion to God and warned of impending disaster for Israel if it did not repent. It was from Hosea 6:6 that Jesus quoted when he said, "Go and learn what this means: 'I desire mercy, not sacrifice'" (Mt. 9:13). Tragically, Hosea's warnings of doom proved true when Assyrian forces invaded the Northern Kingdom and its people forced into exile. By the time of the later kings of Judah and Israel, priests and prophets were becoming clearly separated offices. Prophets often criticized priestly corruption of various types. The prophets whose words are preserved in the bible are particularly harsh in condemning the local shrines or "high places" where unauthorized priests serve not only Yahweh but tribal and local deities as well. They warn that unless such practices cease, Israel and Judah will face dire consequences, including invasion, subjugation, and exile. In this context they also begin to prophesy about the future restoration of the Davidic monarchy. Thus the concept of the Messiah was born. Among these, three prophets are particularly outstanding for their literary works as well as their political, religious, and spiritual influence: Isaiah, Jeremiah and Ezekiel. Isaiah's dates are controversial. The Book of Kings records him as beginning his ministry at the end of the reign of King Uzziah, with his most important prophecies coming during the reign of Hezekiah. This historical Isaiah counseled King Hezekiah to keep faith during the Assyrian siege of Jerusalem in the early seventh century B.C.E. Like his predecessors, Isaiah stressed the importance of worshiping Yahweh only, urged repentance from idolatry, and warned of tragic consequences otherwise. However, most scholars now believe that only some of the prophecies and hymns recorded in the Book of Isaiah are authentic sayings of the historical prophet. The idea of a "remnant" returning from exile under the leadership of a messianic king begins to take form in Isaiah's prophecies. Second Isaiah, or Deutero-Isaiah, is the title given to the writings that comprise a major part of the Book of Isaiah. Either as an individual or a collective body of prophetic writings later collected into a single volume, Deutero-Isaiah is thought to have been written during the period of exile in Babylon in the sixth century B.C.E. It includes the great messianic prophecy of Isaiah 60 as well as the Servant Songs concerning Israel's suffering and redemption. These hymns, especially Isaiah 52-53, were later interpreted by Christians to refer to Jesus rather than to the Jews as a people. A "Third Isaiah" is also posited, referring to writings incorporated into the Book of Isaiah from post-exilic times. Some evangelical scholars, it should be noted, deny the thesis of "two Isaiahs," insisting that virtually the entire Book of Isaiah, except for a few narrative sections, is the work of the historical Isaiah of Jerusalem. Regardless of the actual date of Isaiah's writings, they represent the most sublime expression of the messianic ideal. In his prophecies are expressed not only the hope of redemption for Israel, but also a vision of universal salvation in which gentiles as well as Jews are included. Isaiah's words have inspired religious figures, poets, artists, and composers throughout the centuries. Jeremiah's ministry spanned the reigns of several kings. The book that bears his name seems to be largely the work of his personal secretary, Baruch. It records not only a large number of Jeremiah's oracles and prophetic hymns, but also a good deal of historical material and even a letter from Jeremiah to the exiles in Babylon. Lamentations, traditionally attributed to Jeremiah, is probably by another writer, although it refers to Jeremiah's time. Jeremiah began his ministry during the reign of King Josiah and apparently supported the young king's strict reforms (Jer. 11:1-10; 26: 1-6). Like all Hebrew prophets of this period he harshly condemned idolatry. However, he was just as strong in criticizing the Temple itself for corruption. He warned rulers and priests alike that they must do justice and care for widows and orphans, not simply offer up the required sacrifices and trust that the holy city of Jerusalem would be protected (Jer. 7:5-8). His career at court was a stormy one; he was flogged, threatened with execution, and imprisoned for his outspoken views. After Josiah's death in battle against Egypt, Jeremiah urged accommodation with the Babylonian Empire, which he saw as God's instrument to punish Judah for her sins. A leading court prophet, Hananiah, who predicted that the Babylonian yoke would be broken within two years, opposed him. Jeremiah countered with a prophecy of his own predicting Hananiah's own impending death (Jer. 28). Jeremiah then wrote to those Judeans already in exile in Babylon, urging them to ignore the advice of other prophets and advising them to settle down, buy houses, and pray for the Babylonian king. His advice regarding accommodation was not heeded. The vassal king Zedekiah rebelled against Babylon, provoking a brutal reprisal. The city was sacked and burned to the ground, and the king himself was blinded and exiled to Babylon. Jeremiah, from his own exile in Egypt, continued his prophetic activity until his death. Jeremiah's verses are among the most passionate and poignant in the Bible, demonstrating such themes as God's love, the dire consequences of sin, God's seething anger at Israel's betrayal, the concept of a "new covenant" between man and God, the promise of redemption, and the hope that repentance will bring salvation. Ezekiel was a famous prophet during the period of Jewish exile in Babylon. He was apparently a younger contemporary of Jeremiah and may have heard the older prophet preach in Jerusalem. A former priest with no temple in which to offer sacrifice, he bemoaned the fate of Israel and Judah and called for a revival of faith. This faith centered on the hope of a rebuilt temple in Jerusalem and a messianic king. Although his book gives a good deal of attention to priestly issues, it also deals with the moral principles of what later become known as "ethical monotheism." Ezekiel also gave encouragement to the exiles, assuring them that God has not abandoned them and that the sins of their immediate ancestors will not be held against them (Ezekiel 18). Many of Ezekiel's prophecies take the form of poetry. He participated viscerally in his prophetic pronouncements through fasts and other mortifications of the flesh. The death of his own wife was, to Ezekiel, directly associated with the destruction of Jerusalem's Temple, which God Himself ordained (Ezek. 24:15-24). His expressions of God's pain and anger are striking, even disturbing, to modern readers in the violent sexual imagery the prophet uses to describe God's rage against Israel's and Judah's idolatrous "fornication" (Ezek. 16; 23). More than any other prophet, Ezekiel was a visionary. His several visions of angelic beings and vehicles are particularly vivid (Ezek. 1, 10). His revelation of the restored Temple in Jerusalem goes into minute architectural detail (Ezek. 40-44). Moreover his vision of the Valley of Dry Bones (Ezek. 37), although originally referring to the revival of Israel as a people, became an important basis for the belief in the resurrection of the dead. The exiled elders of Judah consulted Ezekiel, and it is possible that his prophecies, together with those of Isaiah and Jeremiah, had great impact on the consciousness of exile community. His writings certainly became very important in later Jewish life. They also had great significance in kabbalistic thought and Christian apocalypticism. Joel – Probably a post-exilic prophet, Joel presents a powerful vision of ravaging locust as a sign that the day of the Lord is near at hand. Deliverance from doom is possible if Israel turns wholeheartedly to God, in which case an outpouring of His spirit "on flesh" will occur. This prophecy became influential in Christian times as prediction of the Pentecost event of Acts 2, and in modern times because of its implications of the significance of the Pentecostal movement. Obadiah – His short book, probably written shortly after the Assyrian invasion of Israel, consists primarily of a denunciation of the sin of Edom. Although highly nationalistic in tone, it does not spare either Israel or Judah from a wrathful justice in the soon approaching day of the Lord. Jonah – Probably written after the period of Babylonian exile, this book tells the ironic story of a prophet who runs from his mission, gets swallowed by a huge fish, and finally goes to an enemy city to deliver God's word: "yet forty days and Nineveh will be destroyed." When the city repents, God changes his mind and Jonah ends up pouting. The book serves as a counterbalance to the exclusivism of books such as Ezra and Chronicles, showing that God wants to bring redemption to gentiles as well as Jews. Micah – A southern prophet, probably a contemporary of Isaiah, his message shows an affinity with the themes of his northern counterparts, Amos and Hosea, as well as with the Isaiah himself. When Jeremiah was threatened with execution for his prophecies against King Jehoiakim, his defenders appealed to Micah's example to exonerate Jeremiah (Jer. 26: 17-19). Nahum – This prophet was a master of poetic imagery with strong nationalistic overtones and fierce devotion to Yahweh. Nothing is known of his personal life, but his oracles seem to refer to the impending defeat of the Assyrian empire as the Babylonian power was on the rise. 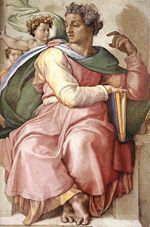 Habakkuk – One of many prophets active during the short reign of Jehoiakim, the second son of Josiah, just prior to the fall of Jerusalem to Babylon. He initially shared Jeremiah’s optimism toward the Babylonian power as God's instrument, but later portrayed King Nebuchadnezzar as a cruel tyrant who will ultimately by judged by God. Zephaniah – Possibly a man of royal lineage descended from King Hezekiah, this prophet lived the reign of King Josiah. He seems to have had strong connections to the Temple in Jerusalem and some scholars believe he could have been instrumental in effecting the reform program of Josiah. Haggai – A post-exilic Jew who helped Ezra the Scribe rebuild the Temple, his few surviving verses look with excitement to the reestablishment of the sacred sanctuary. Unlike Amos, Hosea, and Micah before him, he stresses properly performed religious rites a crucial in attaining God's favor. Zechariah – A contemporary of Haggai who, like him, emphasized the rebuilding of the Temple, Zechariah reports several powerful visions, including one in which people from all nations come to attend Temple. He seemed to pin his messianic hope on Jerusalem's governor, Zerubbabel, who supervised the rebuilding of the Temple (Zechariah 4:7). Malachi – Writing after the Temple had been completed but the hopes of earlier prophets had given way to corruption and despair, Malachi's message is that true religion bears fruit in true morality. His promise of the return of Elijah before the coming day of the Lord is a fitting close to the collection of prophetic books. Daniel – It should be noted that The Book of Daniel is not considered one of the prophetic books, but one of the "writings" in the Hebrew Bible. Whether he was a prophet belonging to history or a literary figure of a later era is a subject of debate. Modern scholars tend to think that Daniel was written during the period of the Hasmonean revolt in the second century B.C.E. as an encouragement to resist the Greek profanation of the Temple. Like Jonah, Daniel is not a book by a prophet, but a story about a prophet. The story begins during early part of the Babylonian exile and continues into the Persian period. Although loyally cooperating with the king of Babylon, Daniel nevertheless refuses to bow to several royal commands. God delivers him miraculously from punishment. Following the pattern of the story of Joseph, he later becomes the greatest Wise Man in the empire and even becomes a royal governor. Daniel also has several apocalyptic visions regarding the coming of a powerful figure, a "son of man," who would establish an eternal, universal kingdom encompassing all nations (Dan. 7: 13-14). Like Ezekiel, Daniel also used the term "son of man" to refer to himself as a human being. In the New Testament, Jesus too called himself the "son of man." This section of the Book of Daniel strongly influenced later apocalyptic writing, both Jewish and Christian, including the Book of Revelation. Because his vision relates to the "end times," commentators throughout history have interpreted Daniel's prophecies as being fulfilled in the events of their days. Prophets mentioned as active in the Gospels include: Zechariah, Elizabeth, Mary, Joseph, Anna, Simeon, John the Baptist, Jesus, and others. John the Baptist is a particularly powerful prophetic figure who is seen by the Gospel writers as fulfilling Malachi's prophecy regarding the return of Elijah (Luke 1:17). His ministry involved the prophetic call to social justice and confronted the sin of Herod Antipas regarding an illegal marriage. For this public criticism, the Baptist was arrested and eventually beheaded. The Gospels portray Jesus as uttering numerous prophecies, both social and apocalyptic. Like earlier prophets, he called Israel to repentance; and he frequently echoed to tone of Isaiah, Jeremiah, Amos, and Hosea in emphasizing that formalized religion centering on the Temple of Jerusalem was less essential than such values as justice and mercy. He joined John the Baptist in declaring the immediacy of the Kingdom of God. However, the Gospels declare Jesus to be much more than simply a great prophet. He is proclaimed to be the Messiah himself, the son of David, the Son of God&mash;and in John's Gospel, the pre-existent Word (Logos) through whom all things were made (John 1:1-3). The Book of Acts tells of several itinerant Christian prophets who operated in apostolic times. Paul refers to prophets as one of the three key charismatic offices of the church, together with apostles and teachers (1 Cor. 12:28). The Book of Revelation is a work of apocalyptic prophecy by John of Patmos instructing Christians to resist accommodation with Rome even to the point of martyrdom and predicting the imminent return of Christ to judge the world. The Didache, also called the Teaching of Twelve, represents a transition to a more settled time, recommending that prophets be elected to serve as local bishops. The Shepherd of Hermas is a Christian prophetic work calling the Church to repentance and purification in preparation for the coming of Christ. Apocryphal and heretical examples of Christian prophecy are evident in such writings as the apocalypses of Peter, Paul, John, and James, as well as prophecies contained in various Gnostic gospels and other works. The Montanist movement of the second century, which centered on the prophetesses Prisca and Aquilla, brought the era of mainstream Christian prophecy to a close when it was condemned as heretical. Heretical prophetic movements arose sporadically throughout the Christian era but were repressed by church authorities and the state. However, several recognized saints engaged in prophetic activity. 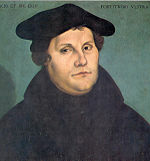 After the Protestant Reformation, several protestant sects have affirmed their leaders or members to be prophets. While the rejection of Montanism as a heretical movement put an end to prophecy as a major characteristic of the Christian church, numerous historical individuals who are named as Christian saints have indeed acted as prophets. In terms of speaking "truth to power," saints often acted prophetically by opposing heresy and injustice in high places: Saint John of Damascus and Saint Maximus the Confessor are two examples. In a more overt sense, King Edward the Confessor of England received a vision on his deathbed concerning the future of the British Isles. In the twelfth century, Saint Malachy received revelations concerning the fate of Ireland and the papacy. 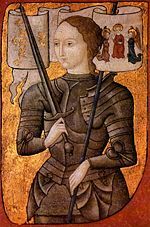 The prophetic activities of Joan of Arc, although considered heretical in her own day, were later recognized by the Roman Catholic Church as saintly. In modern times the Church has accepted the revelations given to the children of Fatima as legitimate. Saint Paul of the Cross, Saint Hildegard, and several others are also recognized as prophets; and many other saints are thought to have been given specific revelations dealing with more personal matters. It is debated whether prophetic figures such as Saint Bernard played acted as mouthpieces for God in calling for a crusade against the infidel Muslims to regain the Holy Land for Christ. In a more general sense, the phenomenon of the Charismatic Renewal accepted the prophetic nature of the Pentecostal movement. One can also view the actions of several of the popes and bishops who confronted corruption and immorality of royal personages to be a prophetic activity. Prophetic figures that challenged the authority of the papacy often faced charges of heresy. With the advent of Protestantism, however, several figures emerged who claimed the mantle of prophecy outright, and others played prophetic roles without overtly claiming the title. Martin Luther certainly struck a prophetic tone in his denunciation of papal corruption and his call for a reformed church. The same may be said of many of the great reformers. Protestant leaders who claimed new revelations include the seer Emmanuel Swedenborg and George Fox, who founded the Quakers. Mother Anne Lee, founder of the Shakers, also claimed to have received new revelation. In the twentieth century, the Pentecostal and Holiness movements spawned many ministers claiming the gift of prophecy. Indeed the, the Pentecostal movement is predicated on the idea that the "gifts of the spirit" have been renewed in this age—prophecy being one of the foremost of these. The social and political role of the Hebrew prophets, who denounced injustice and provided Israel with its social conscience is the basis for the concept of "prophetic ministry" in contemporary churches. Clergy exercise this prophetic role in speaking out against social evils such as genocide, war and racism. The Qur'an specifically mentions the names of 25 prophets and indicates that there have been many others sent to humanity throughout time. These include Adam, Noah, Abraham, Moses, David, Jesus and Muhammad. Muhammad is held to be the last and greatest prophet. While Muslims deny the divinity of Jesus, they accept the biblical teaching that Isa (Jesus) will return on the Last Day. The primary characteristic of a prophet in Islam is his absolute submission to Allah. Once a person attains prophetic status, he does not deviate from God's will. Therefore Muslims reject the idea that prophets such as King David sinned, believing instead that stories such as David's adultery with Bathsheba represent tampering with the authentic text of the scripture. Muslims also hold that a prophet will be protected by God and cannot be executed unjustly. They therefore reject the idea that Prophet Jesus in fact died on the cross. The sect of the Ahmadiyya consider Mirza Ghulam Ahmad of Qadian to be a prophet. However, as he comes after the prophet Muhammad, most Muslims consider their teachings heretical and un-Islamic. The same may be said of Baha'u'lah, the prophet of the Baha'i faith, which began as a universalizing reform movement within Islam. Most Muslims distinguish between prophets per se (نبي nabi) and messengers (رسول rasul), the latter being those prophets who have brought a holy book rasila (such as the Qur'an or Bible). Orthodox Judaism holds that prophecy ended with Malachi, not too long after the reestablishment of the second Temple of Jerusalem following the return of the Jews from the Babylonian captivity. However the return of the prophet Elijah is indeed anticipated as the harbinger of the Messiah's coming. A few pretenders to this title have emerged in Jewish history, the most outstanding example being Nathan of Ghaza, who served quite effectively as the "Elijah" to Messianic claimant Shabbetai Zevi in the seventeenth century. Jacob Frank presented himself as the prophetic leader of the Shabbatean movement after Zevi's conversion to Islam. The tradition of Hasidic holy men has elements of similarity to prophecy, but individual tzadikim (the righteous) generally do not claim this title. A possible exception is Rabbi Menachem Mendel Schneerson (d. 1994), who was recognized by many of the Lubavitch hasidim as a prophet, and even as the Messiah. While prophecy as such played no formal role in the early stages of either Hinduism of Buddhism, several neo-Buddhist movements have adapted the concept of prophecy to relate to their leaders. For example, adherents of Nichiren Buddhism recognize the thirteenth century Buddhist monk Nichiren as a prophet while the Vietnamese Hoa Hao neo-Buddhist sect believe their founder, Huynh Phu So, to have been a prophet. Nearly all religious cultures include soothsayers and seers who could be seen as playing a prophetic role. For example, several Native American shamans were known as prophets. Examples include the Shawnee prophet Tenskwautawa, the Delaware and Munsee prophets, and the Ghost Dance prophets Smohalla and Wovoka. Prophecy is a central characteristic of the Sikh religion. The first Sikh prophet, Guru Nanak (1469-1539), preached a message of one God for all of humanity, stressing universal principles of morality. Nine prophets succeeded Guru Nanak, the line ending with Guru Gobind Singh in 1708. Several new religions see their founders as prophets. The Church of Jesus Christ of Latter-day Saints (also known as the Mormon Church) considers their founder, Joseph Smith, to have been a prophet. Smith's successors, elected from among their council of elders, also hold the office of prophet. The Baha'i Faith likewise sees its founder, Baha'u'llah, as a prophet. In the twentieth century, religious movements led by prophetic figures include the Church Universal and Triumphant, led by Elizabeth Claire Prophet and the Children of God (currently called The Family), founded by Moses David Berg. In October 1910, this photograph of Edgar Cayce appeared on the front page of The New York Times after a reporter stole it from the home of Cayce’s parents, to use for a story. Several important figures should be mentioned that are not particularly associated with any religion. These generally fall into the category of "seer" or prognosticator more than the traditional idea of a prophet speaking on behalf of a deity. One of the most famous of these was the sixteenth century French seer Nostradamus, who recorded his visions in the form of quatrains expressed in symbolic language. His predictions thus being open to a variety of interpretations, he has been credited with an uncanny ability to foresee major events, ranging from the rise of Napoleon and Hitler to numerous natural disasters and even the terrorist attack on the World Trade Center in New York. The Korean monk Nam Sa-go, around the same time as Nostradamus, wrote Gyeokamyurok, a book of poetic prophecies and teachings that predicted the coming of a messianic figure to Korea. Numerous other seers of lesser fame have appeared throughout the centuries. 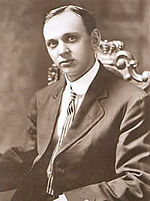 In the twentieth century, major seers included the American Edgar Cayce, called the "sleeping prophet" because his teachings were conveyed while in trance. The psychic astrologer Jeanne Dixon gained fame for allegedly predicting the election and later possible assassination of U.S. President John F. Kennedy. Critics point out that the Bible is highly selective in terms of which prophets its editors chose to include. It is biased toward the view of the "Yahweh only" party that became normative from the period of the Babylonian exile onward. The Bible contains only a few words of from the many "false prophets" of Yahweh and the prophets of Baal or other deities. Because the biblical prophets were often political partisans, this situation is analogous to having access to the arguments of only one side's position during a civil war or religious controversy. Critics also point out that the prophets were generally an intolerant lot, cursing and sometimes plotting the overthrow of those kings who would not violently purge society of the prophets' religious rivals. 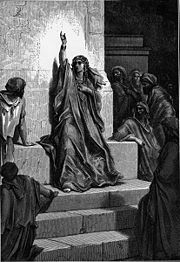 Feminist theologians argue that the prophets enthusiastically supported the male-only priesthood in its campaign to stamp out female depictions of God, such as the goddesses Astarte and Asherah, who may have originally been conceived of as feminine counterparts to the Israelite deity. While the prophetic emphasis on social justice is to be commended, the fact of the prophets' support for religious repression, male dominance, and warfare against other tribes and races must not be ignored. This page was last modified on 4 March 2013, at 16:52.